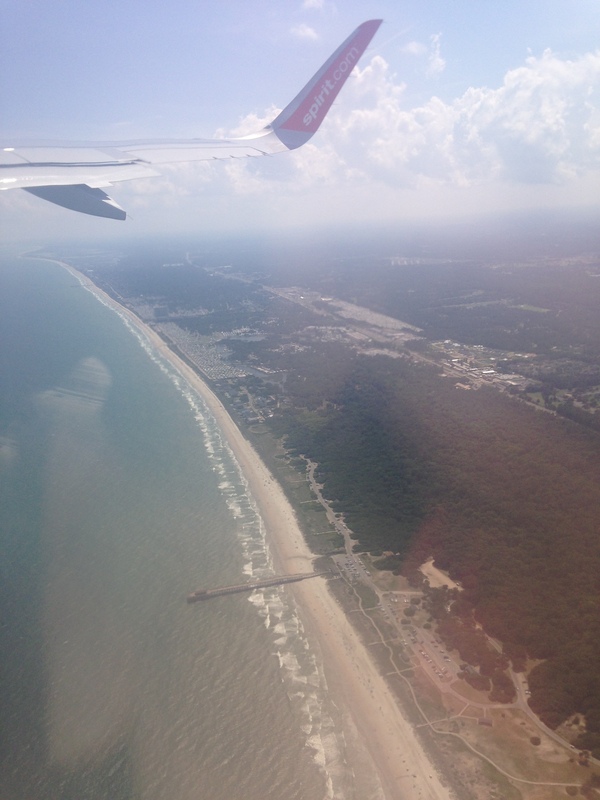 A few weeks ago, I caught a direct flight from LGA (the gross terminal, which turns out to be all of the airport except the Delta terminal) down to Myrtle Beach. Aside from some weather related delays, which have become the norm for me at this point, it was smooth traveling south. 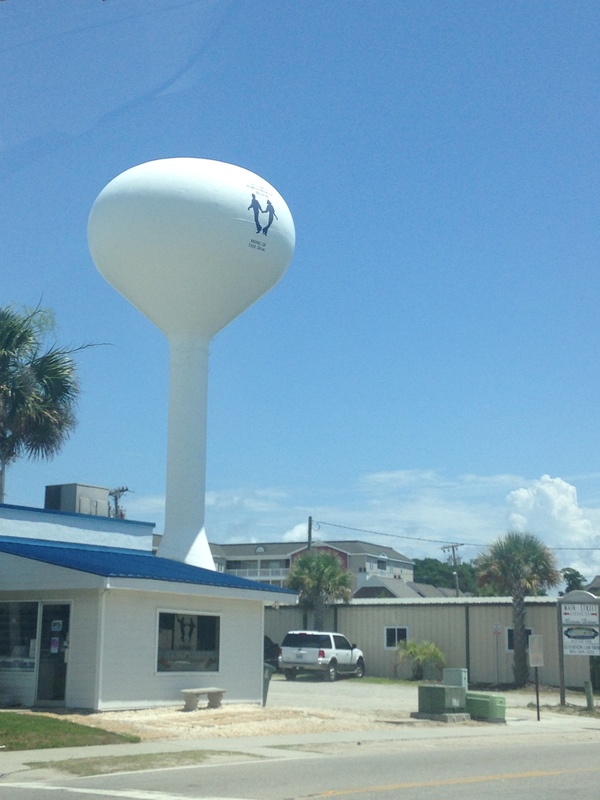 I was staying with my grandmother and aunt in North Myrtle Beach, “home of the shag” as their water tower proclaims. For those of you not familiar with the shag, it is the official dance of beach music and danced with a partner. Growing up, we always went to Myrtle beach once a summer. I was told they would teach me to shag, and I was going to win contests. Despite the confidence in my dancing abilities, I wasn’t ever taught and grew old enough not to have the time or want to drive out to the beach with my family anymore. This trip, I watched the main drag of North Myrtle through the car window. I couldn’t exactly tell if it was exciting, it was certainly more exciting than being inside, or if it was dilapidated and sad. I made my aunt stop at a souvenir shop so that I could buy an oversized, tacky cat beach towel. The sign on the shop advertised “exotic” body piercing. We stared at the girl in the glass booth. “You ladies lookin’ to get a piercing?” she asked, noticing our necks craning. No, we laughed. “I do mother-daughter piercings all the time, even grandmother-daughter-mother once.” My aunt and I don’t even have our ears pierced. 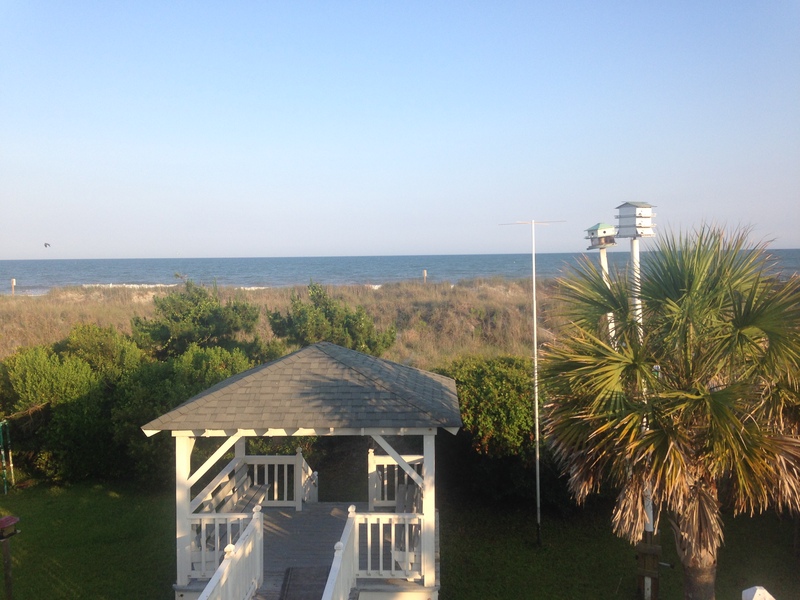 As strange as the culture in Myrtle Beach might be, the Grand Strand lives up to its name. First you have to climb over the dunes, which always feel too hot, too long with lizards and bugs running across them. Once you get across and over the dunes, the air immediately cools. The sand is powdery and soft at first, hardening where the waves brush against it. Miles of public beach in either direction. This is the sand you can sleep on for hours, dig your toes into, make sandcastle for days. It has always been my standard for, my norm for the best beach sand. Previous Post Dessert in a Jar?